Opponents of St. Paul's plan to coordinate trash collection say they have enough signatures on a petition to put the plan to a citywide vote. 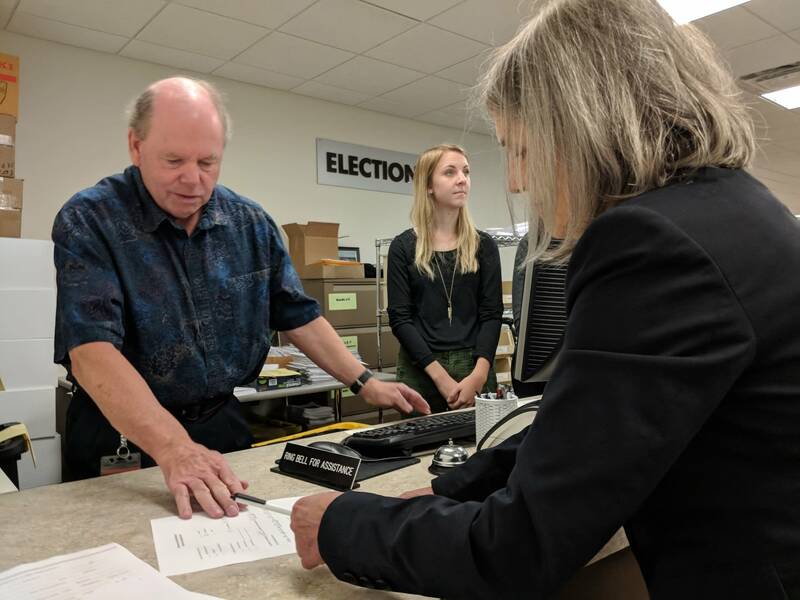 They turned in their paperwork Thursday morning to the Ramsey County elections office, which handles ballot questions for St. Paul. Petition leaders say they have more than 5,800 signatures, topping the 5,000-signature threshold for a citywide vote on the ordinance authorizing the new plan. "I think it says a lot about the sentiment out there, that it runs very deep and very strong in favor of the people saying they should have a say in this matter," said Patricia Hartmann. "I think people feel very strongly about the unique situations that they have with regard to waste generation collection disposal and don't feel necessarily that one set of rules is going to work for everybody." It isn't clear when a vote on the trash system might happen, although the filing is too late for the Nov. 6 elections. The new system is set to start Monday. The actual threshold the petition required was 4,932 signatures from registered voters, said Ramsey County elections manager Joe Mansky. That's 8 percent of the number of votes cast for mayor in the most recent city general election. The City Council approved a plan for coordinated trash collection last year, and has distributed about 73,000 new trash carts in the last six weeks. • June 2016: St. Paul residents ask: Is this any way to collect garbage? The move followed years of debate and study over the city's longstanding private hauler system where individual homeowners contracted with private trash haulers to provide carts and garbage services. Critics of that system said some residents were being charged too much and the competing services made for thousands of unnecessary truck trips down streets and alleys for house-by-house pickup. "I've had people say I'm not buying a bunch of stuff, so I'm not making a lot of garbage. When you see a lady coming out with one little bag of trash, you say, hey, can I help you?" said Kristin Becker, among those who worked on the petition. She considers her own family "zero wasters," and says her family of three only generates about 15 gallons of trash a year. The city has opted for a citywide mandate instead, with four different levels of service. City officials struck a deal with the city's 15 existing haulers to set rates and divide up the city into zones for weekly pickup. The enabling ordinance also for the first time requires trash service for each residence and charges an annual $24 city fee to administer the system and provide tens of thousands of new trash carts. The haulers have been consolidating rapidly as the deadline approaches and are down to nearly half of the existing number, but the petition could throw the system into uncertainty. If the petition is ruled valid, the city's charter says the enabling ordinance would have to be suspended. It isn't clear what that would mean for the trash collection system, and whether the city could roll back the changes and keep the city's trash picked up.